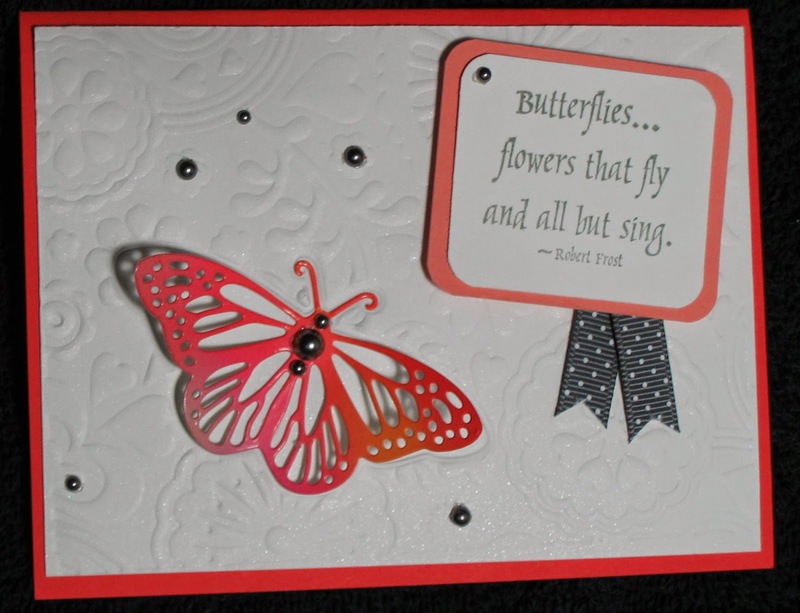 My sister likes butterflies, and even though we are past the season to see them here, I found myself making a butterfly card this week. My friend, Susanne, found a technique posted by Therese on her website Lost In Paper this month using solid dies with embossing folders to create a frame for a matching stamp. To our dismay, the Cardologists do not have many solid dies. I have one solid die, but no stamp to match so I tried the technique with a set of dies from Impression Obsession that I fortuitously received in the mail this week. 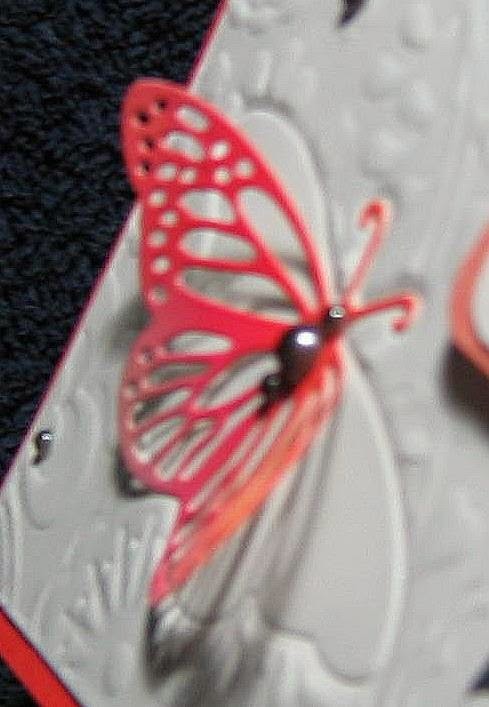 The effect of the frame is lost unless you peak under the butterfly in the closeup, so it would work better with a matching stamp, and as we found out from our experimenting, if the die is sized to leave a border around the stamp. The butterfly was cut from a left over scrap of ink applied direct to glossy paper. The word stamp is from a Stamp Camp set; the embossing folder is from Provo Craft/Cuttlebug. Oh, Dora, it' beautiful! The close-up shows the effect really well! Love how you colored that butterfly!